If you’re looking for the denture option that will be best for you, you’ve come to the right place. We offer the whole spectrum of dentures. This includes everything from implant dentures to conventional dentures. We also fix conventional dentures regularly, and we place partial dentures for other patients. At Northstar, we understand that having missing teeth can be difficult. We’ve helped many patients find their smiles over the years, and we’re happy to do the same for you. We know that a person’s confidence suffers when they lose their teeth. If you need to take back your confidence, we want to help you do that. And we’re so committed to that goal that we’ve developed a handful of affordable payment options throughout the years. We firmly believe that everyone should have access to the smile they deserve. To start your journey towards a bright new smile, you can schedule a free consultation with us using the form below. 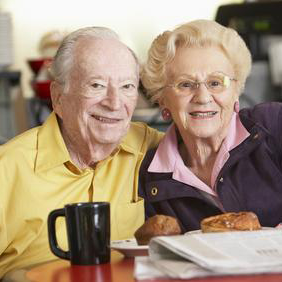 Read on to learn more about denture options, payment plans, and other helpful information. Are you tired of having removable or loose dentures? At Northstar Dental, we understand the importance of having a beautiful smile and a strong, healthy bite. We offer implants that can stabilize your dentures, creating more powerful bite. We can also place implant-retained dentures. Options include adding a few implants for stabilization of a removable denture or a permanent non-removable hybrid prosthesis. If you would like to find out what the best denture option is for you, schedule a free consultation here. Are you looking to replace your teeth without getting traditional dentures? 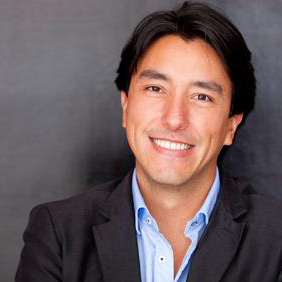 Our new revolutionary implant procedure offers fixed beautiful implants. The procedure is known as Teeth-In-One-Day or Fixed Hybrid Prosthesis. It’s the only treatment in dentistry that permanently replaces your teeth. This procedure gives you a full dental restoration with superior aesthetics. For patients, this procedure results in a dramatic improvement in the quality of life of patients. Do you have a broken denture tooth or a cracked denture? We can help! Patients depend on their dentures every day, and we understand the importance of a fast turnaround, We have a denture repair lab right next door to our practice, and we are proud to offer quick turnaround for repairing dentures. Are you missing just a few teeth? We offer natural-looking partial dentures for patients looking to replace a few teeth without getting dental implants. At Northstar Dental, we work hard to keep dentistry affordable. Partial dentures are a perfect solution for patients with a few missing teeth. A partial denture will prevent surrounding teeth from shifting while still allowing you to chew and speak with confidence. 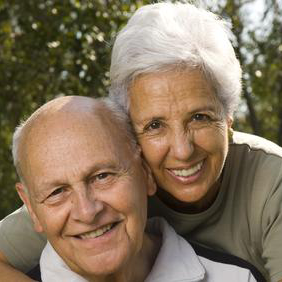 At Northstar Dental, we provide high-quality implant dentures at a fair price. Implant retained dentures are a sound investment, and we want you to enjoy the benefits of your investment for many years to come. We offer financing options and dental payment plans, so the cost of implant dentures can be within your budget. Most of our patients are already familiar with conventional dentures. However, implant dentures and our Hybrid Prosthesis procedure often get overlooked. Following are a few of our most frequently asked questions about implant dentures and Hybrid Prosthesis. Are implant dentures or Hybrid Prosthesis permanent? Unlike conventional dentures, implant dentures and Hybrid Prosthesis are both permanent options. Instead of taking your dentures out to clean every night, or hearing them click around within your mouth, implant dentures and Hybrid Prosthesis offer you a permanent set of teeth. To keep them clean, you simply brush them and floss them like they’re real teeth. Each patient’s smile needs are a little bit unique. 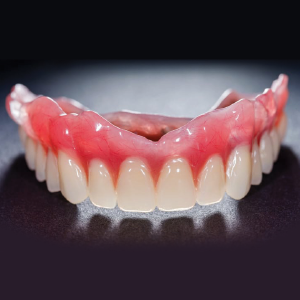 As a result, the cost of an implant denture can vary significantly. Instead of offering an inaccurate estimate of the cost of implant dentures, we recommend setting up a free consultation. At the consultation, our team members will be happy to examine your mouth and determine what the cost of an implant denture would be. I’ve been told I’m not a candidate for dental implants in the past. Am I a candidate for Hybrid Prosthesis? Roughly 9 out of 10 patients who have previously been rejected for dental implants are candidates for Hybrid Prosthesis. Because Hybrid Prosthesis is minimally-invasive and utilizes strategic implants, it doesn’t need the support of your jawbone. To learn more about Hybrid Prosthesis, schedule a free consultation using the form below. Note: Looking for the lowest denture cost in Lincoln, NE? By partnering with Lincoln Dental Plans, Northstar is able to offer affordable dental care of all kinds. Click the link to their website to learn more.